Laurie Metcalf on treading the boards in London's West End, and what impact will the Welfare Reform Act have on disabled people's relationships? Yasmeen Khan - "My Name is Not 'Hey baby'"
Are disabled people being unfairly targeted as many disability campaigners claim? Sue Bott, Disability Rights UK and Harriett Baldwin, MP and Lisa Egan discuss. 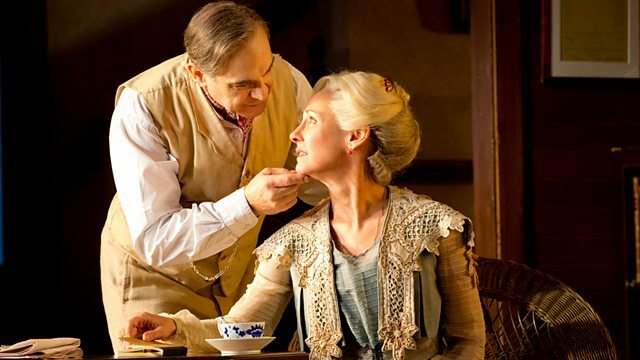 American actress Laurie Metcalf talks about her role in the American classic Long Day’s Journey Into Night by Eugene O’Neill – a play which features addiction and disappointment. Can open relationships ever work and how do you negotiate them? Jane speaks to Amanda Jones who is in a polyamorous relationship and the relationship expert Dr Pam Spurr. Sali Hughes, who writes, blogs and tweets about beauty invited reporter Judi Herman to her Brighton home to show her how to put on self-tan correctly. Reporter Yasmeen Khan talks to Jane about her documentary 'My name is not heh baby' about the difficulties of defining and combating sexual harassment.